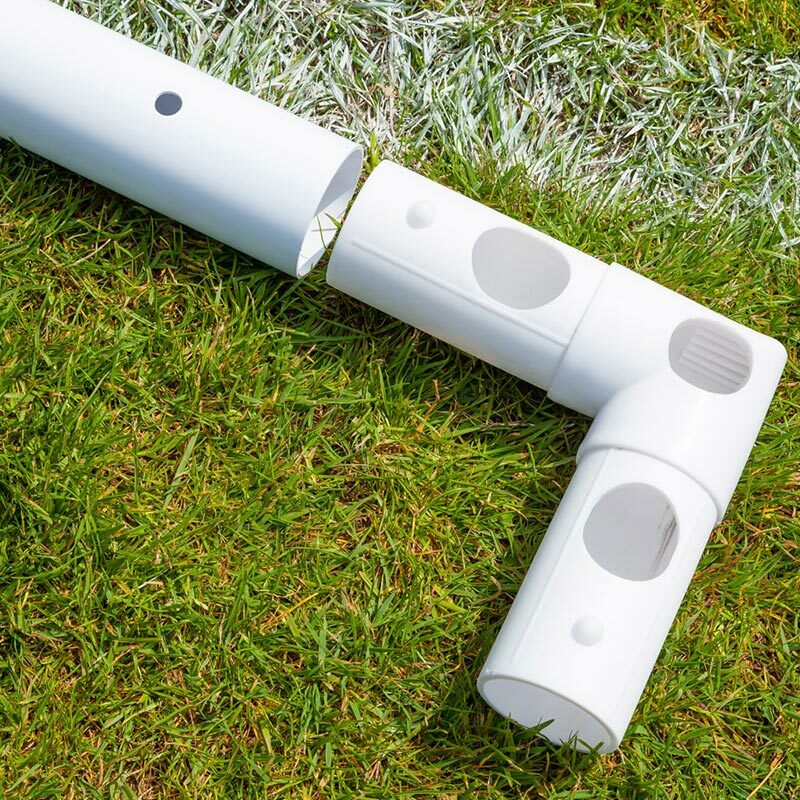 This Samba FA Match Football Goal 12ft x 6ft has a virtually indestructible goal frame and is manufactured from 68mm diameter High Impact UPVC. It’s therefore one of the sturdiest goals you can find. A lot of our customers comment on its robustness and all-round quality. They are completely weatherproof and can therefore be left outside all year round. The nets are made from UV resistant Polyethylene 2.5mm twine and are very hard-wearing. Samba goals are a quality British product made in the UK. So much so they come with a full 12 months no quibble guarantee. The Samba Match Goals are the FA recommended goals for league use. 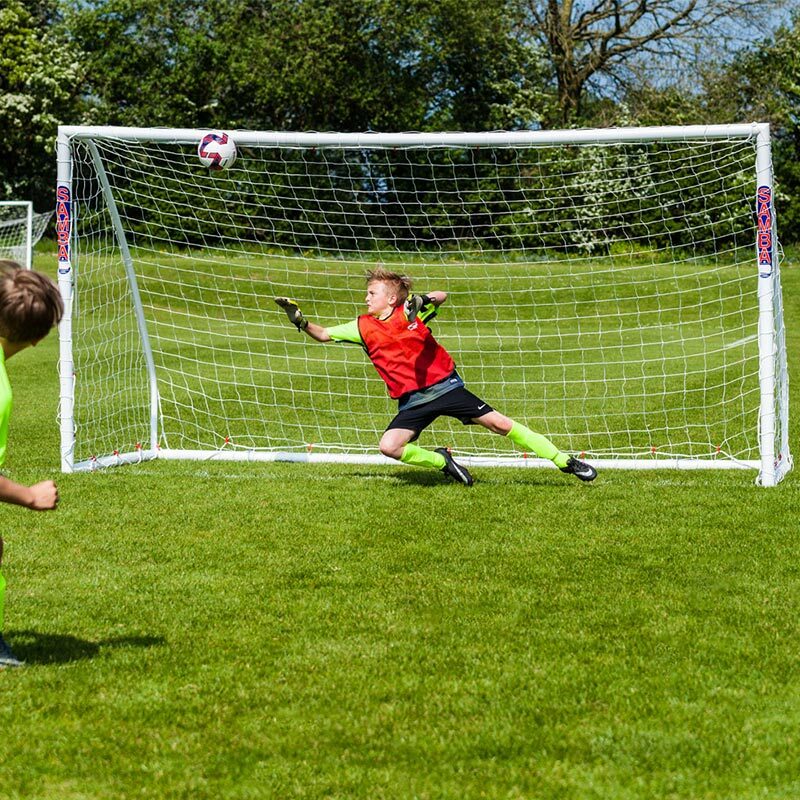 The main difference between the Samba Match Goal and the standard Samba Multi-Goal is the run back at the top of the goal, forming a roof to the net and the extended run-back at the bottom of the goal, giving the goal more depth and making it sturdier. 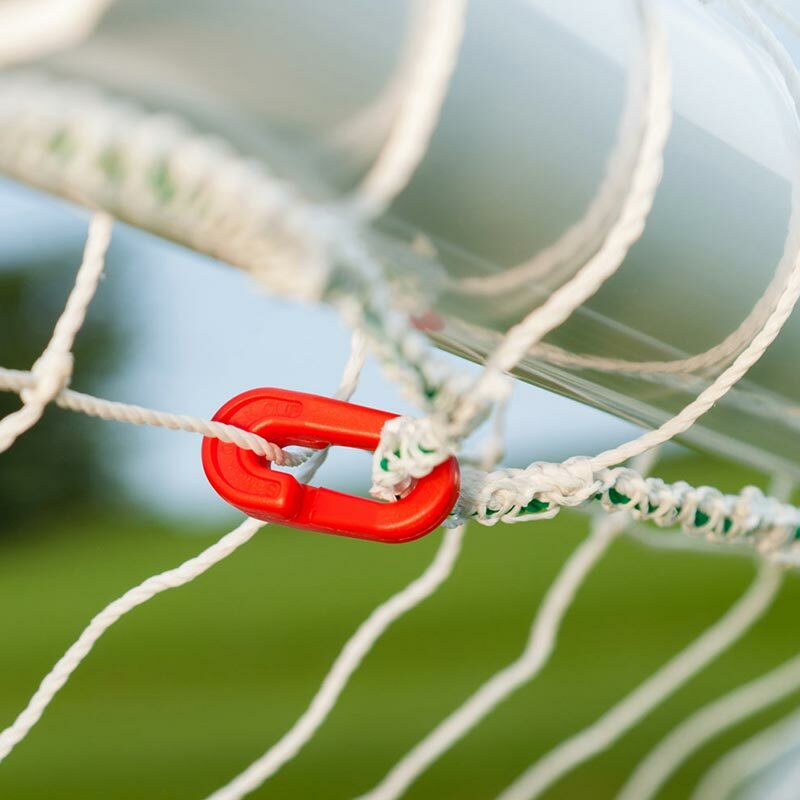 The match goals all come with the locking system as standard. FA recommended size for 7-a-side Mini Soccer. Portable goal complete with carry bag. 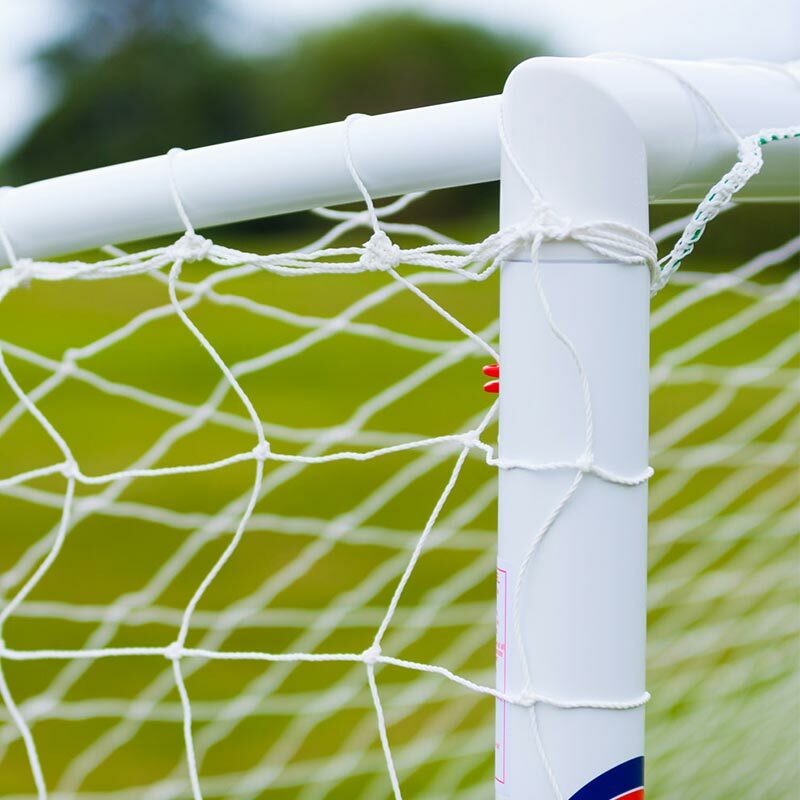 Includes high impact goal frame with locking parts, net, net clips and ground anchors.